I began flying in 1979 and got hooked on it. 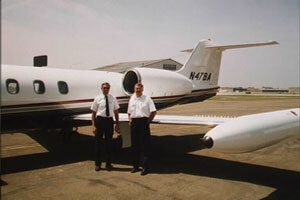 I earned my private, instrument, commercial, sea plane and multi-engine ratings within a few years. I currently hold an ATP (Airline Transport Pilot) rating. To get more involved in aviation, I became an avionics technician in 1984. I repaired, installed and sold communications, navigation and auto-pilot equipment in general aviation aircraft. 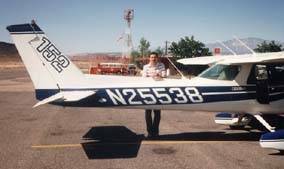 In 1985, my friend Scott and I purchased a Cessna 152 for $3,000 (for those not familiar with aircraft prices, that's really cheap). We flew and had a really great time with the airplane for a couple of years, but then couldn't turn down a $13,000 offer to sell it (the fact that it was due for an engine overhaul played a big factor in our decision). The plane was crated up and shipped to Hawaii where it was used for flight instruction for several years. I understand it's now still flying strong back in Northern California. 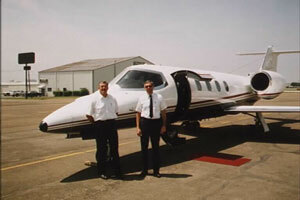 I pursued my flight instructor rating and became a full-time flight instructor at AFI in Fullerton California in 1987. 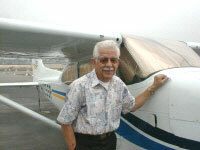 If you're in the Southern California area and interested in learning to fly, AFI is a great place to learn. It's owned by Bill Griggs, one of my favorite people in the world! 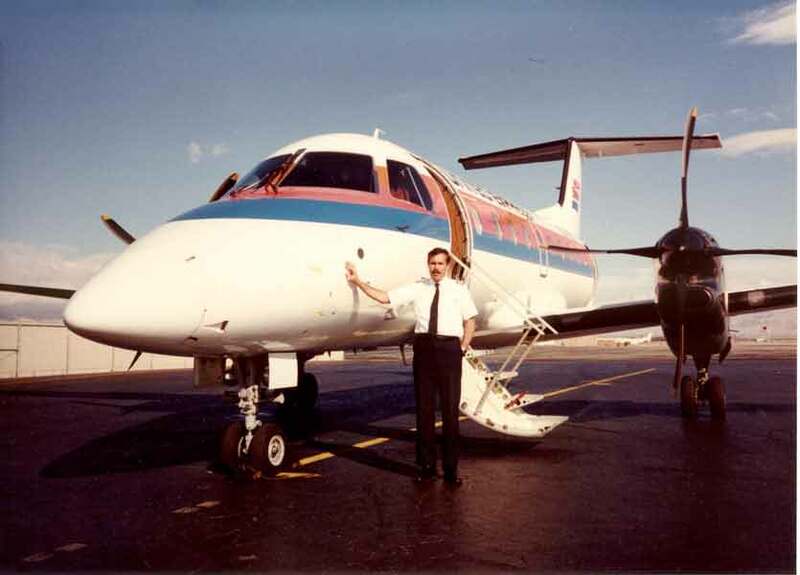 I was hired by United Express/WestAir as a pilot in 1988 and flew with them for eight years. I primarily flew an Embraer 120 Brasilia. The Brasilia is an $8 million, 30 passenger turboprop (jet engine with a propeller) aircraft that's really a lot of fun to fly. I have about 7,000 hours in the Brasilia. The thing I miss most about flying is the incredible, ever-changing view that I had from my "office". Here's Scott and Terry, nearly 20 years after we started flying together, next to a Lear 35, N47BA, that we flew to Texas in May of 1998. This is EXACTLY the same Lear that crashed under mysterious circumstances in October, 1999, killing six including golfer Payne Stewart.